The German Geothermal Association (BVG) and the Turkish Geothermal Power Plant Investors Association (JESDER) have signed a cooperation agreement to intensify the promotion of business opportunities and work on technological development in both countries. 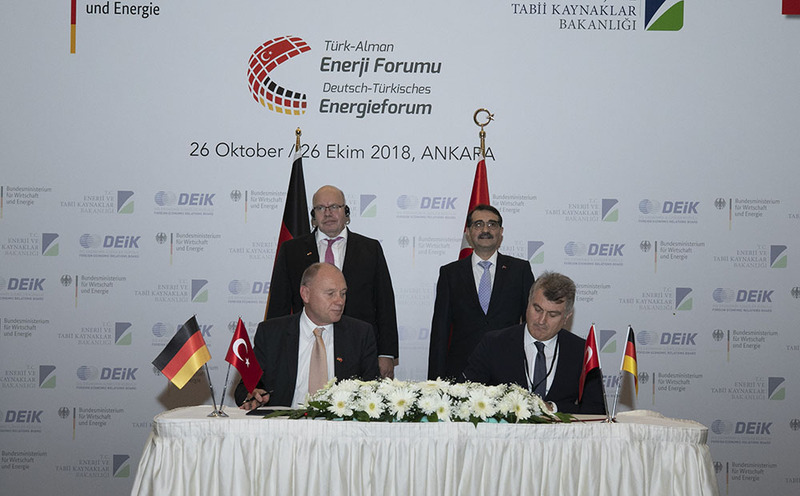 Last Friday, Dr. Horst Kreuter, CEO of GeoT and special representative of BVG, and Ali Kindap, President of JESDER signed the agreement as part of the state visit of German Federal Minister for Economic Affairs and Energy, Peter Altmeiner to Ankara, Turkey. Horst Kreuter and Ali Kindap signing the cooperation agreement between BVG and JESDER. During his stay hin Turkey, Dr. Horst Kreuter also signed a cooperation agreement as CEO of the Geothermal Group Germany GmbH with Remzi Gür, owner of MASPO Enerji, a Turkish geothermal development company.